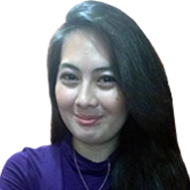 Hello I’m Thea‚ 24 years old living in Davao City Philippines‚ I’m an Online English Tutor. I have been teaching English to Japanese students for more than 2 years. I’m a nursing graduate but teaching became my new found passion. I like reading books‚ watching movies‚ going to the beach and scuba diving. Aside from reading books I also love reading manga it is absolutely interesting for me. Learning a foreign language is never a piece of cake‚ and getting your English into shape will always be a hard work‚ but never give up of what you really want and have fun with it. So‚ let’s make English enjoyable and interesting in our class. I’m looking forward to meeting you and be your English buddy and share your passion in learning English. See you.